In my mind it all starts with Guru’s Jazzmatazz series. A collection of 4 albums released over a 15 year span, Jazzmatazz is the definitive collection of Jazz Rap. With a wide array of jazz musicians including saxophonist Branford Marsalis, trumpeter Donald Byrd, vibraphonist Roy Ayers, guitarist Ronny Jordan, and keyboardist Lonnie Liston Smith, Jazzmatazz volume 1 set the stage for bands like the Roots to fully explore traditional hip hop tracks with a full backing band. Afro Blue” was the first jazz standard built upon a typical African 3:2 cross-rhythm, or hemiola. The song begins with the bass repeatedly playing 6 cross-beats per each measure of 12/8, or 6 cross-beats per 4 main beats—6:4 (two cells of 3:2). The following example shows the original ostinato “Afro Blue” bass line. The slashed noteheads indicate the main beats (not bass notes), where you would normally tap your foot to “keep time”. In 1963 John Coltrane recorded “Afro Blue” with Elvin Jones on drums. Jones took the opposite approach of Santamaria, superimposing two cross-beats over every measure of a 3/4 jazz waltz (2:3). This particular swung 3/4 is perhaps the most common example of overt cross-rhythm in jazz. Coltrane and Jones reversed the metric hierarchy of Santamaria’s composition, by performing in 3/4 swing (2:3), instead of 6/8 or 12/8 (3:2). See: Demonstration of 2:3 cross-rhythm in 3/4 jazz waltz. There is nothing within the Dub world that Lee Perry hasn’t done. He is a true musical visionary. On top of that he is easily one of the most interesting and also bizarre people in musical history. If you don’t believe me watch these bizarre Guinness ads he did a few years ago. For any Fall fans out there I’ve recently been toying with the idea that Lee Perry and Mark E. Smith are one and the same. Mad geniuses. If after getting to know Lee Perry a little more you still think of Flavor Flav as a true eccentric and not just some dude who caught on to the brilliance that is Lee “Scratch” Perry than I think you will have a lot of things to worry about in your future because you are a moron. Sorry. Onto the music. No one is as shocking as Lee Perry. I know in Part 2 I had mentioned that King Tubby never fails to surprise me, this still remains true, but even more so in terms of head spinning confusion and complete bewilderment Lee Perry reigns supreme. He’s done the chilled out Dub for a late summer’s night. He’s also done the most mental, effected dub I’ve heard. 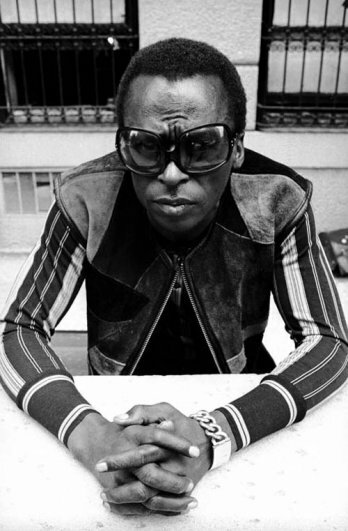 For example his track “Dub Plate Pressure” is like Miles Davis circa Dark Magus. That is to say, fantastically bonkers! I’ve been a fan of Miles Okazaki since the first note of his album Mirror gracefully filled my ear-lobes lifting me to another musical atmosphere. I find that Miles Okazaki’s music – more so than any other contemporary jazz musician – is accepted by almost anyone who hears it no matter their affiliation or taste. I attribute this to the purity of the concepts and focus on aural pleasure. 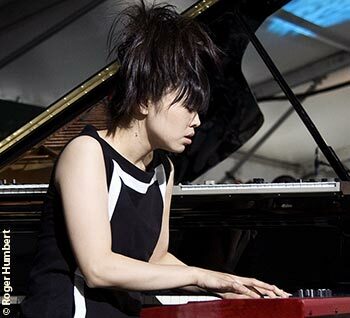 In this piece, Okazaki and his ensemble embrace the inherent joy of listening to music by taking a melodic structure and spinning a remarkably complex and unpredictable web. Here is a teaser for his new album Figurations. This album was released May 8, 2012 and is a live recording featuring an ensemble of improvisational masters including saxophonist Miguel Zenon, bassist Thomas Morgan and drummer Dan Weiss. In music built heavily on structure — mixed meter, long lines, counterpoint — the trick is to make it flow and sound natural, connected to the body. That’s what this quartet does, and each part of “Figurations” is elegant, precise, dramatic and well played. . . It’s a cerebral but warm record, and each part sounds wholly different from the last. Mr. Okazaki plays here with the saxophonist Miguel Zenón, the bassist Thomas Morgan and the drummer Dan Weiss. They’re equals in the project, inhabiting the music. Watch this band. Ok, If you are familiar with Reggae and Dub than you know this is a classic but it doesn’t matter. It’s a classic for a reason and always worthy of mention. 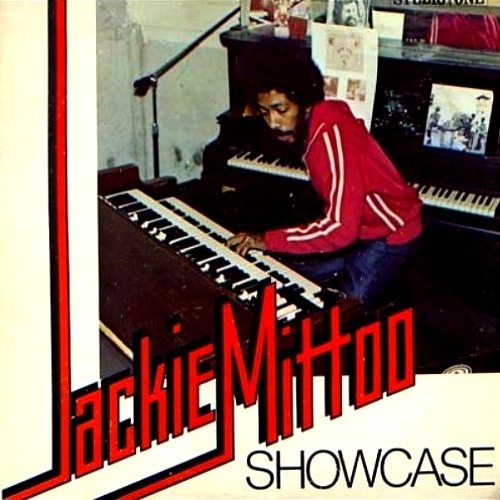 Jackie Mittoo is to Reggae and Dub what Keith Jarrett, Herbie Hancock, Larry Young, Chick Corea, and the like, are to Jazz. He was THE Keyboardist. This album shows why. The way he paces his playing, knowing precisely when to come to the forefront or disappear into the back. Keep in mind how when he disappears into the back he is actually still right in the front. He has this insane ability to make you think he’s not playing anymore. This track showcases his moody and distant washes as well as his knack for some good old finger dancing magic.